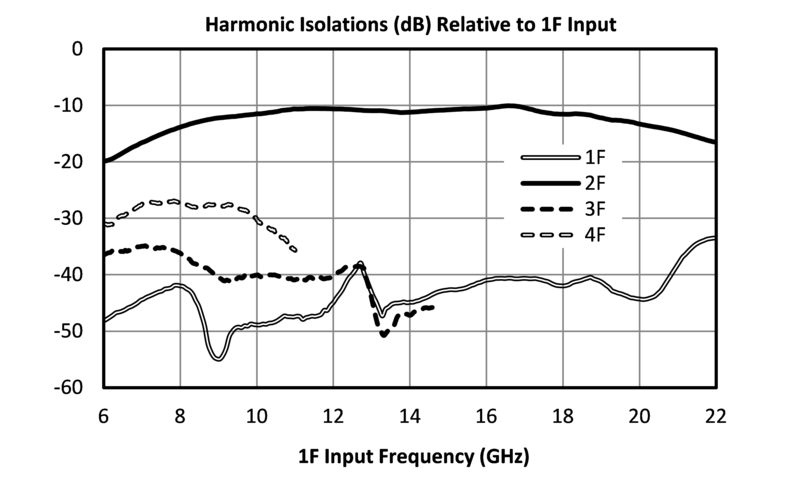 In making the datasheets for the first Microlithic frequency doubler (MLD-1640), it occurred to us that not enough has been made about the difference between isolation and suppression. In mixers and amplifiers, some parameters are expressed relative to the input powers, while some are expressed in terms of the output power, with the conversion loss or gain calibrated out. This includes third order intercept point (IP3), which can be expressed as either input IP3 (IIP3), or output IP3 (OIP3). In general it is better to use OIP3 for mixers, since what really affects the dynamic range of a system is the amplitude difference between the output signal and output spur, expressed in dB relative to the output signal or carrier (dBc). This is illustrated in the table below, where the difference between the T3 and competing mixers is even greater when the superior conversion loss of the T3 is considered. Note that it is better to use IIP3 in amps, for the opposite reason, namely that you want to give the amp credit for it’s gain. So in parts with gain the appropriate measure is IIP3, while in parts with a loss the appropriate spec is OIP3. When the same logic is applied to spurious products in mixers and multipliers, the input referred value in dB is called isolation, while the output referred value in dBc is called suppression. Suppression is the preferable number to use, because it expresses the important value to the system. The isolation can always be improved by increasing the conversion loss of the mixer or multiplier, but this is obviously undesirable. There are, however, some issues using suppression. The first comes with mixers. In all mixers we express the spurious output of the LO in terms of isolation, since it is dependent on the input LO power. 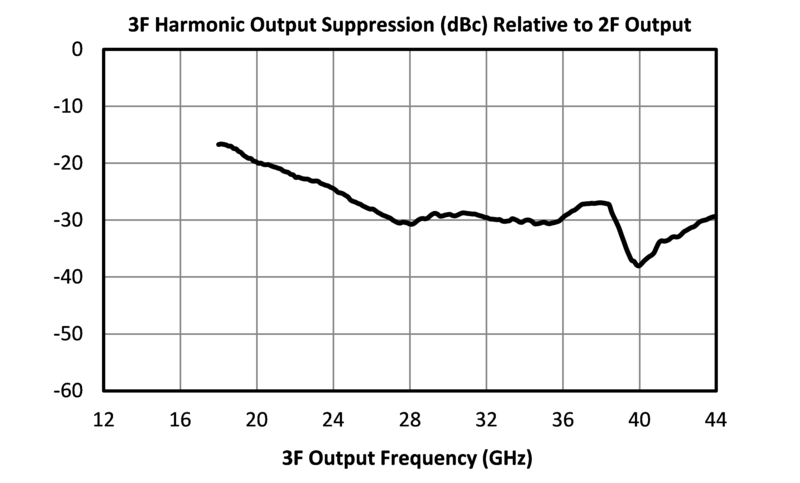 Since the LO power does not change the conversion loss referenced to the input, this means that the suppression can vary by several dB with different LO drive levels. The curves look slightly different. The suppression is more stretched out, and distorted by the curve of the conversion loss of the doubler. This is the result of the suppression calculation, which can basically be thought of as a 1:1 mapping of the isolation through the conversion loss.